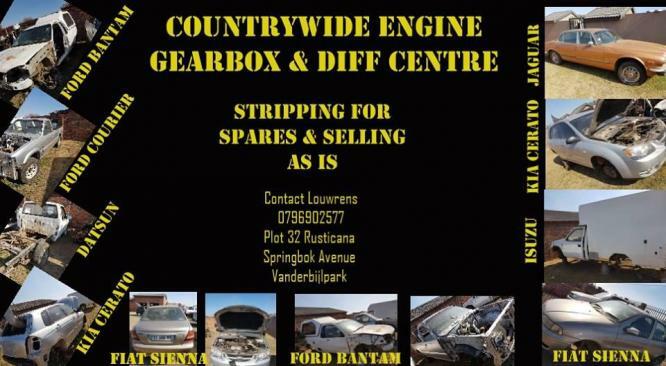 STRIPPING FOR SPARES AND SELLING AS IS. SEE PHOTO ADDED FOR MORE INFO ON WHAT TYPE OF CARS THERE ARE TO BE STRIPPED AND SOLD. 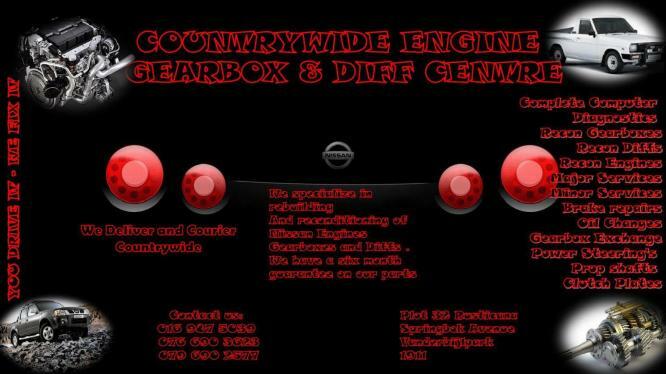 WE ARE A ENGINE,GEARBOX & DIFF CENTRE AND WE ALSO DEAL IN BUYING AND SELLING OF SECONDHAND VEHICLES. 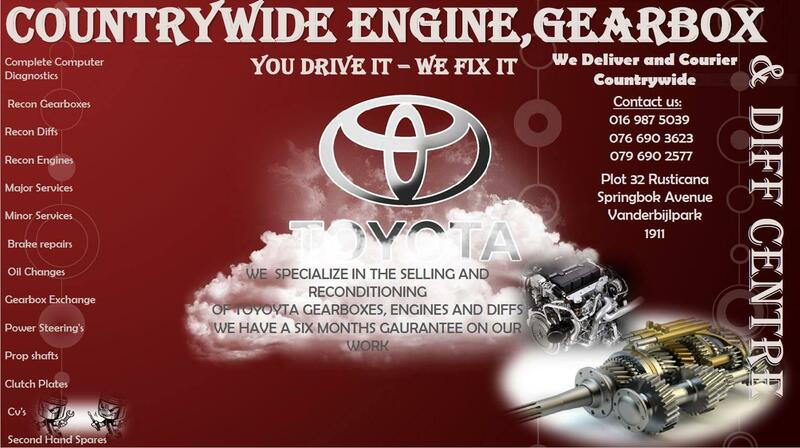 ALL OF OUR GEARBOXES ARE RECONDITIONED AND COMES WITH A GAURANTEE. WE HAVE SECONDHAND AND RECONDITIONED ENGINES THAT ALSO COMES WITH A GAURANTEE. 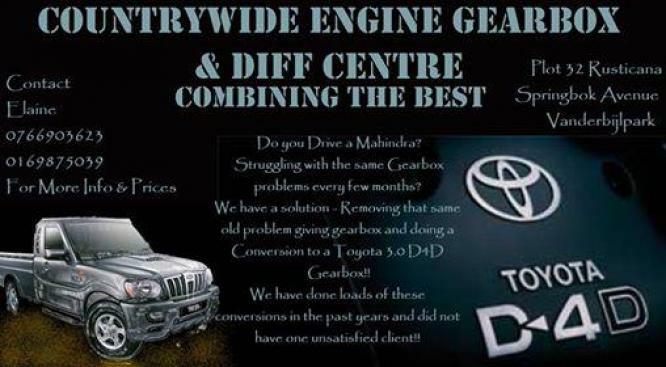 WE SPECAILISE IN ALL MAKES OF PETROL AND DIESEL ENGINES,GEARBOXES AND DIFFS.